Q. Does Films on Demand offer closed-captioning? If you are interested in finding Films on Demand videos that have closed-captioning, here are the instructions. Images below. Check the box that says Show only Films On Demand closed-captioned programs. 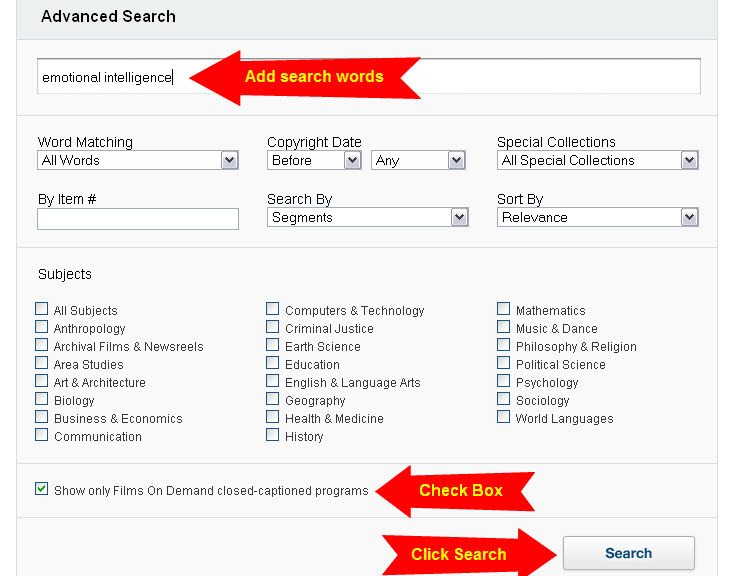 Type in your topic and click the search button at the bottom of the page. Toggle "closed captioning on". It's located in the upper right corner of the video.